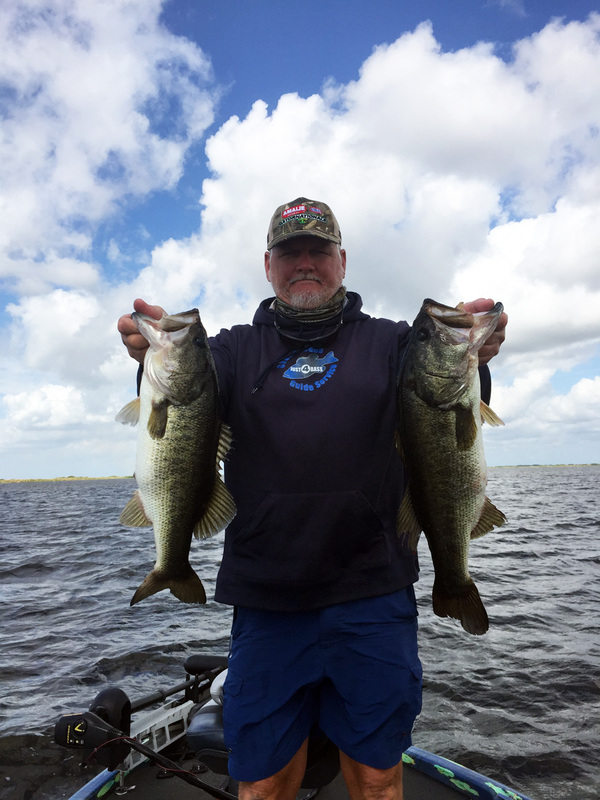 The last couple of weeks on Lake Okeechobee has been fantastic. The weather has been stable and it was the week of the full moon. The winds have been from the East to South/East from 5-10 mph and the water temps has been in the upper 70’s. The best bite is still with wild shiners, but the topwater bite has been good too. A Spook and a Whopper Popper has been the bait to fish and you can fish it all day and not go wrong . There is a good worm bit too, I have been fishing a Senko (Black/Blue) in the 7 in model. Good areas to fish are Kings Bar, Tin House, 4th point and the Lakeport area of the lake. Now that the water has dropped a lot, you have to be careful running around the lake. You can also check the water level of Lake Okeechobee at www.okeechobeejust4bass.com. Here is a picture of a couple of fish that I caught this week.